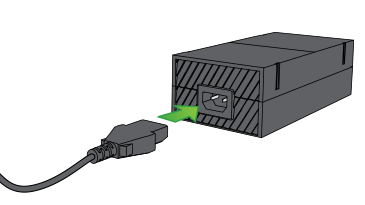 Plug the DC cord into the PSU port on the back of your console. Plug the AC cord into the PSU. Plug the other end of the AC cord into a wall outlet. 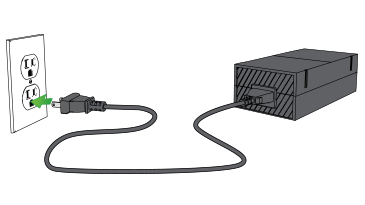 Note We recommend plugging directly into a wall outlet--a power strip or surge protector is not necessary, as your console's power supply has internal protection built in. Verify that the LED power indicator on the PSU is brightly lit. 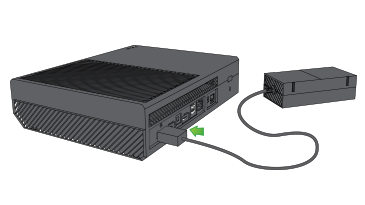 Would you like to contact Support regarding the "Connect your Xbox One power supply " issue you were reading about or a different issue?